If you’re searching for office space in Clifton Park, there are a number of steps you need to keep in mind before taking action. Factoring in your potential growth, budget, and current needs (amongst many other factors) is essential to choosing the perfect building for your business. The commercial space you lease is often crucial to the success of your business — making a wrong decision can have a lasting negative impact that can affect your business for years to come. 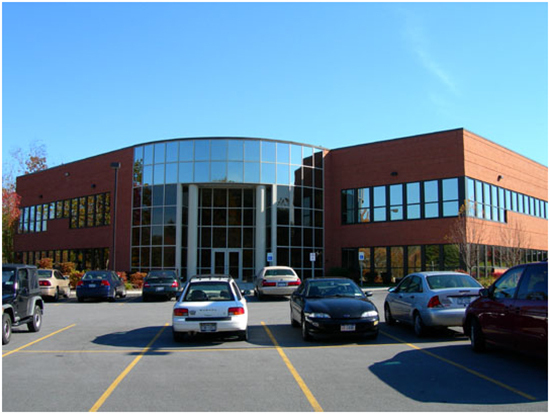 Let’s break down the 6 essential steps you need to find an office space for rent in Clifton Park. What class of office space do you require? What should the office layout be? Do you have enough space if you grow? Considering every possibility will help to paint a picture of the perfect office building for your business. For example, leasing a large office space with extra square footage will leave room for future growth. You must also consider the location of your office rental. Will you be in an area that attracts decent foot traffic? How accessible is your commercial space?The building you choose should be convenient not only for your customers but also for your suppliers and employees. Your budget will ultimately determine the type of office space you will be able to lease. You can estimate your budget by analyzing your financial constraints, your needs for space and services, and local rental costs. You can gain an accurate picture of the budget you’ll need by multiplying the average local price per square foot by the space requirements of your business. When you’ve made that calculation, add in utility and maintenance costs to help you determine a budget that’s realistic. Once your budget is set, you’ll have a good picture of what type of building you should be looking for. For example, if you only have a budget to accommodate a Class C office building, you won’t waste time looking at Class A and Class B buildings. There are two ways to locate a property in Clifton Park. First, you can do so yourself by searching through online listings. Second, you can hire a broker to do the heavy lifting for you. Hiring a broker comes with a wide range of advantages. A good broker will have local insight that you may not have and will help you during lease negotiations. Brokers bring specialized knowledge to the table and it’s their job to get you the best deal possible. To simplify your search in the Clifton Park area, reach out to Atrium Properties. They’ll get you into a commercial space quickly so you can get your business up and running without delays. During your search, you’ll likely find many suitable office spaces for rent. When your search has concluded you’ll want to narrow your search down to the most promising commercial properties that meet your criteria and schedule a tour. Taking note of these considerations will help you to determine whether or not a particular office space is a good fit for your business. Working with a commercial brokerwill make this process more relaxed because they will provide the background information on each of the properties you decide to look at and they will schedule the walkthrough on your behalf. Working with a broker will also ensure all of your questions and concerns will be answered. Having your financial information ready will save you time and energy because it will allow you to move forward the moment you find a suitable rental space. You should also sign a personal guarantee which is a statement that communicates that the owner of the business will comply with the terms of the lease. A personal guarantee is binding even if you leave before the term of the lease has ended. Signing a personal guarantee will be another gesture to your landlord that you will be able to cover your rent even if your business is unable to generate enough revenue to cover the cost. You will eventually come to a point where you will find the ideal office space that meets your criteria. Next, you will negotiate the lease with the landlord. Knowing the various types of leases out there and how they work will give you an edge during the negotiation phase which will ultimately allow you to negotiate better terms for your lease. Under this lease type, the landlord holds most of the responsibility. They will pay all expenses associated with the commercial space that includes repairs, maintenance, property taxes, insurance, utilities and janitorial services. Full-service leases are the most common type of lease. Under this lease type, the tenant pays less rent annually in comparison to a net lease but will be required to pay monthly “usual costs” which include property insurance, common area maintenance (CAMS) fees, and property taxes. Under this lease type, the tenant covers the fee for property insurance, property taxes and CAM fees in a lump sum which is paid alongside the rent. The advantage of a modified gross lease is that the rent will be fixed therefore the tenant won’t have to worry about hidden fees. Before searching for office space to lease in Clifton Park, it’s essential you ascertain the needs of your business, budget, and plans for growth. Going in unprepared will likely force you to settle for anoffice space that isn’t ideally suited for your business. If you’re looking to simplify your search and find the perfect commercial space for your business, contact Atrium Properties today. With more than 40 years of experience the professionals at Atrium Properties will help you find the perfect Clifton Park commercial space.